It sounds to me that Capcom is just waiting for Resident Evil 5 to reach a little more saturation on 360 and PS3 before announcing the Wii version. Now just get rid of the forced Co-op and make it a more balanced game and we'll be in businessCapcom. 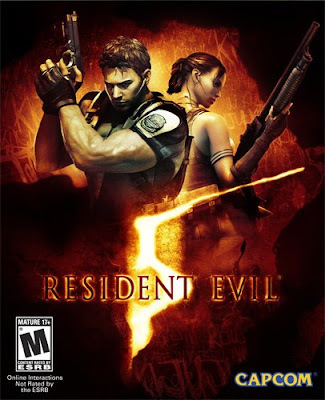 i used to want it on wii but after playing it on 360 it dissapointed the hell out of me capcom is better off actually making a RE game specifically for wii. Make it more like the E3 07 trailer and restore horror by tweaking the setting from day to night and make use of lighting and dynamic shadows the sort seen in Luigis Mansion and the sort we will no doubt see in Silent hill Homecoming. A few returning enemies would help to, like bring back the Hunters and maybe a Tyrant. Dead Rising isn't a very good start mind, the 360 original is like GTA with Zelda: Majora Masks time management and CTYD made no attempt to be like that or even RE4 lacking that games set piece action. If they ever decide to do Dead Rising 2 on wii I would want it to be as close to the original as possible even having a hundred zombies spread scattered along a stretch your running across would make it authentic enough. Spartan Total Warrior managed to have 150-180 AI characters and had alot going on screen in that game. I just hope they put a lot of time and effort in porting it over to the wii unlike they did with Dead Rising. I also would like to see the new Alien vs Predator game for wii. I'd prefer a return to the original atmosphere of Resident Evil, more in tune with the first 2 games. I'm tired of all this martial arts, slow motion, black trenchcoal/awesome sunglasses crap. I'm not sure if I can blame the movies for this stuff, since I can't pinpoint what game this started in, but they certainly didn't help (absolutely hated the movies). Sidenote, I played the PS3 version of the game, and while it was kind of entertaining, I found the controls to be atrocious. Moving back and forward with one analog while turning with the other is a wildly silly idea in my opinion. I hope they change their minds about bringing this to wii cause that game was a disgrace to the whole franchise. Seeing as I'm the only one in this blog who seemingly played Resident Evil 5, I couldn't care less. I'm a Nintendude and all but I bought an Xbox 360 just for this game (and Banjo-Kazooie and Tooie), and I'm very happy with it, it's amazing! It would be nice to see it get a release on the Wii, unfortunately I would just rent it.